The program contains over fifty natural sounds and music. You are able to play and mix these sounds together as well as add effects to them such as reverb, pitch-shift, and echo – all in a straightforward, non-technical way. 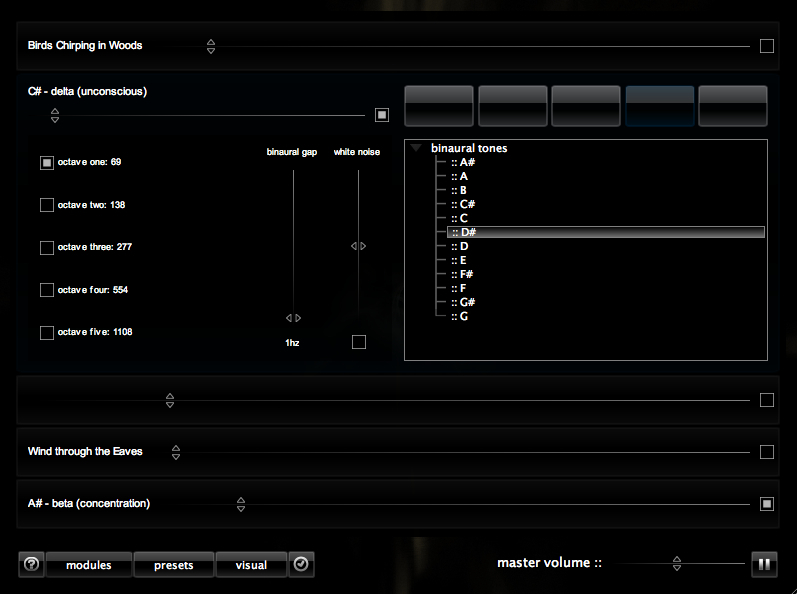 It is also possible to import your own sounds. Just love this software. It is amazing and FREE! The interface may seem a little non-intuitive at first, but have no fear. Just click on the bottom left-most button/icon (it’s a question mark for help) and then choose the guide/manual for easy-to-understand instructions.